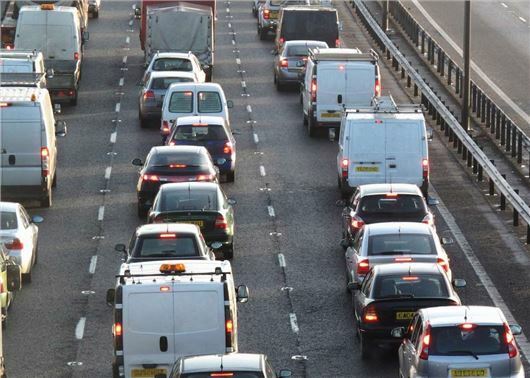 Cars on British roads are pumping out 10 million tonnes more CO2 than owners have been led to believe, according to latest research by HonestJohn.co.uk. The consumer motoring website analysed 100,000 Real MPG submissions from readers and found that fewer than two out of every 10 cars achieved advertised MPG and CO2 figures in everyday driving. The 10 million tonne spike in CO2 is the equivalent to an additional 5.4 million new cars on Britain’s roads - which is the same as the emissions from every new car registered in 2014 and 2015 combined. The research also shows that the gap between the claimed official figures and Real MPG has grown every year since 2011. It demonstrates that while CO2 emissions have been falling on paper, in the real world they have remained largely stable. As a result motorists are finding it increasingly difficult to predict how much fuel their car will use, with the UK’s average shortfall now accounting for 2,404 million litres of unleaded and 1,751 million litres of diesel annually. In turn, this produced an additional 5.55 billion kg of CO2 for petrol and 4.69 billion kg of CO2 for diesel. The Lexus NX is the worst performer overall, achieving a pitiful 65 per cent average of its official MPG figure. The Land Rover Discovery Sport is the second worst – 65.1 per cent – while the Mercedes-Benz SLK is third with a disappointing average of 67.2 per cent. Real MPG invited car owners to submit how many miles their cars actually do to the gallon, covering all major makes and models. Unlike official (laboratory tested) fuel consumption figures, Real MPG gives real life comparative data and allows car owners and buyers to see how much on-the-road fuel a vehicle really uses. Real MPG was launched in 2011 after HonestJohn.co.uk received thousands of complaints from readers that their cars could not match the ‘official’ EC fuel economy figures. The best performers were mostly older cars, with the Jaguar XK coming out top with an impressive 108.9 per cent of its official fuel economy rating. Second place went to the Toyota MR2, which returns 106.7 per cent of its official figure. The Jaguar XJ (2003 – 2009 model) was third, with 106.6 per cent. HonestJohn.co.uk managing editor Dan Powell said:“Car emissions made all the headlines for all the wrong reasons in 2015, but the Volkswagen scandal is only half the story. The combination of inaccurate fuel economy figures and CO2 ratings make it extremely difficult for motorists to understand how much fuel a car uses or how polluting it will be. What are the best best Real MPG cars of 2015?